Add some designer flair to your toy box! Each pack includes a ton of fun pets and cool accessories! This Wave 1 set contains 3 individually packaged pet gift packs. Is it possible to have too much fun? No way! 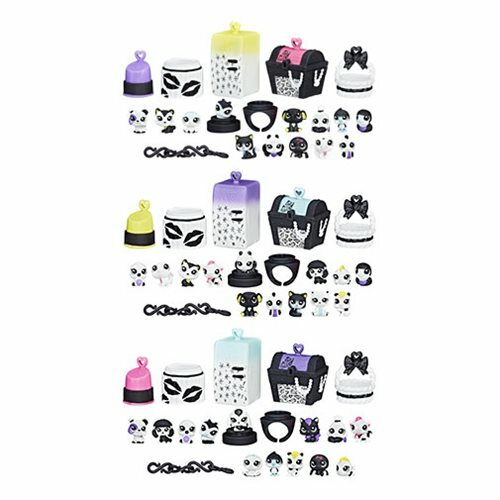 Each of these stylish Littlest Pet Shop Black N White Pet Packs includes a ton of fun black-and-white pets and cool accessories. Covered in kisses and a splash of color, each set is sure to delight fans of Littlest Pet Shop while adding some designer flair to your toy box! Ages 4 and up.